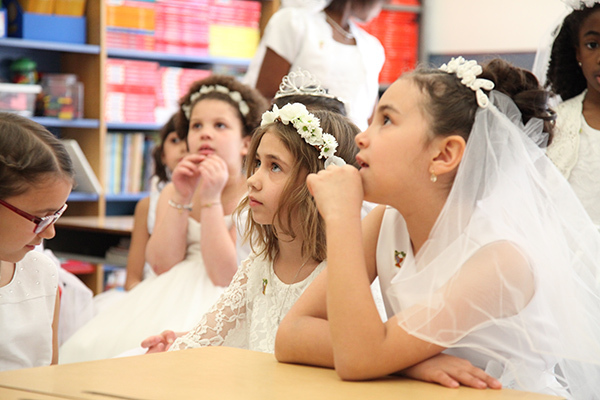 In conjunction with the Church of Saint Saviour’s Faith Formation Program, Saint Saviour Catholic Academy prepares students for the sacraments of Reconciliation, First Holy Communion, and Confirmation. Please note, students who are not parishioners at Saint Saviour should prepare for their sacraments in their home parish. For more information, please contact Sister Pat Rutter, CSJ, at 718-768-4055.